This week I am hearing all about inspiration and how it can tell amazing stories in colour and design. 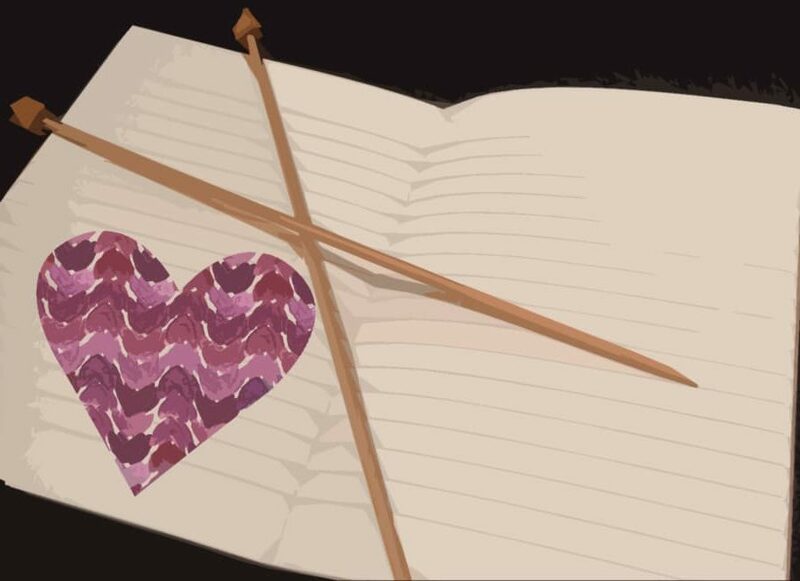 Karie Westermann is here to talk about the catalysts behind This Thing of Paper and how her love of books and manuscripts is being translated into her new designs for the book. 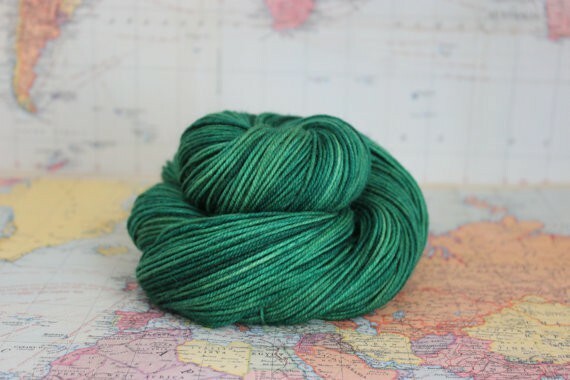 Sylvie, of Phileas Yarns, popped over to talk about how her travel memories are dyed into colourways on sumptuous yarn bases. 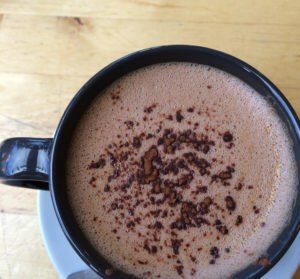 Get your cuppa and listen via the player below! 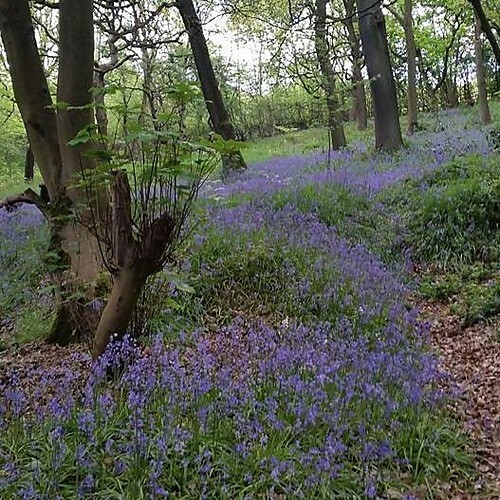 I love how the colour of the flowers shifts as they move through the photo, and the suggestion of bark on the path makes the blue and green pop. Well done, JustJoe! And a very very well done to all of you who entered – you are sure inspired by colours! Thanks also to Joy again for such an incredible prize. Keep your eyes and ears primed for more Knitting Goddess news in the coming weeks! If you can make it to Edinburgh on 11th June you won’t want to miss the Indie Burgh Yarn Crawl. 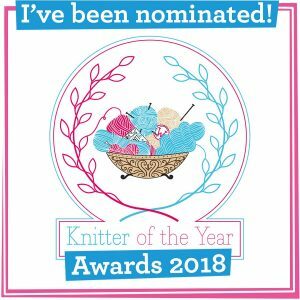 Organised by the awesome Jess James, of Ginger Twist Studio, you can visit Jess and Kathy’s Knits and Be Inspired Fibres; you can collect stamps, discounts and goodies and be in the running for some awesome raffle prizes. In addition to all of that there is a pop up market at The Safari Lounge (21 Cadzow Place) featuring some awesome vendors. And – even more exciting news – Kate Davies will be having a launch party for her The Book of Haps at Kathy’s Knits too. I will definitely be floating about in Edinburgh that day and I hope to see you there too! I also wanted to draw your attention to a couple of other dates coming up for your diary. 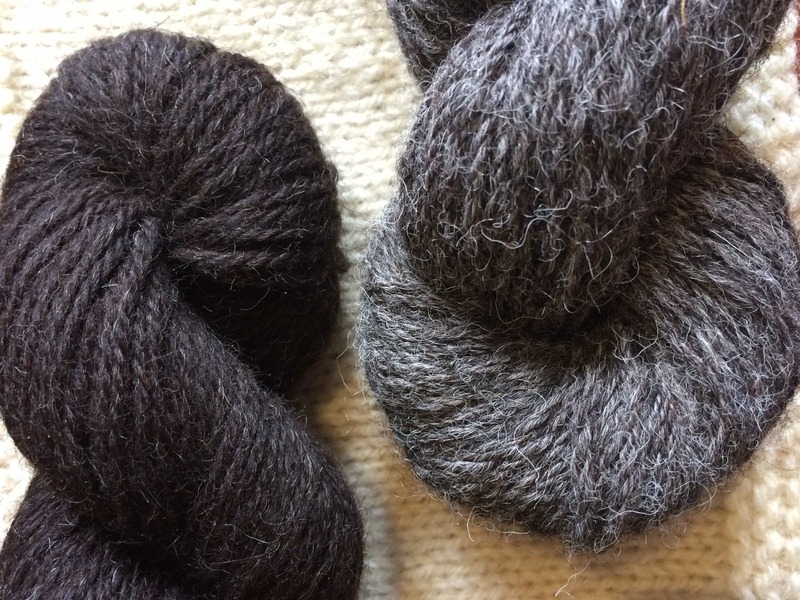 On 4th June (Saturday) it is the Leeds Wool Festival – there are lots of incredible things happening at Armley Mill that day, including vendors such as The Knitting Goddess! There are heaps of fun in terms of lambs and alpacas to pet, historical re-enactments and even films and your entry price is a tiny £3.80! Get there if you can and have an awesome time for me! Sunday (5th June) is Farm Sunday and this is the farming industries doors open day. Visit www.farmsunday.org to see if there are events and fun things to visit in your area. In July there is a new event in Birmingham! Yarningham (16-17th July) is a new annual event and there will be great vendors, events and workshops, so do check out their website for more information about the weekend – Sylvie and I also talk about the event later in the show. I had a very quick Skype with Karie ahead of the launch of her Kickstarter campaign for her book This Thing of Paper. Karie’s Kickstarter reached 100% funding in just 25 hours and I am SO very pleased for her. For someone who loves books I know that she is going to be looking at how she can make this thing of paper and ink truly special indeed. If you would still like to contribute to the project you can do so by clicking this link! Something else we talk about that is very exciting is a forthcoming mini collection from Clare Devine, which includes designs in Syvlie’s yarn. Clare’s collection is imminent and you should watch her blog around the 6th of June for news of that exciting collection release. Thanks so very much to Sylvie for such a lovely chat. 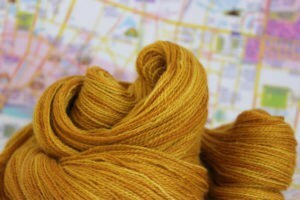 Watch out on the KnitBritish blog for a review of Sylvie’s wanderer BFL DK very soon! You can find Sylvie online at all these places: etsy shop; Instagram; Twitter; Facebook and at her wordpress blog. The podcast is taking a break during June and will be back around the 15th July! There will be blog happenings though, so do keep your eye here (you can also subscribe so that posts appear in your inbox (the box is up there on the right hand side menu)) and rest assured I shall be using the time to bring some awesome stuff to you when the show returns in July. Thanks so much for listening, as always, and for all your emails, comments and connections! 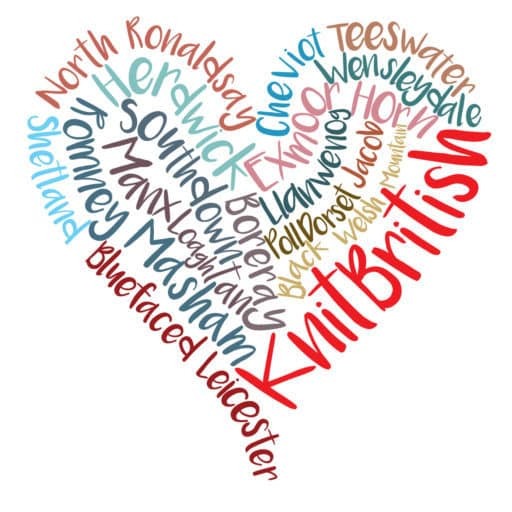 You are the KnitBritish podcast! Music: Carefree by Kevin McLeod and Singin’ in The Rain by David Mumford – Both are on FreeMusicArchive and are both shared under Creative Commons Attribution license. Images are copyright to owners as stated, otherwise belong to me. 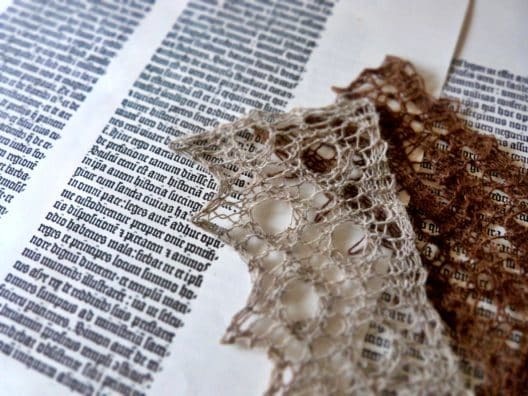 i love how the materiality of books and wool are so intrinsic to this project! Oh my! I have just listened to this and am now blushing the same colour as my St Expedit Boxy! Previous Postreasons to be cheerful – books books BOOKS!